The First baby of the new year born to Fabiola Anaya Perez and Pedro Mendoza of Manson. Baby girl Isabella Mendoza born Jan.20, 2018 at 7: 19 a.m., weighing in at 6 pounds, 10 ounces, and was 19 inches. 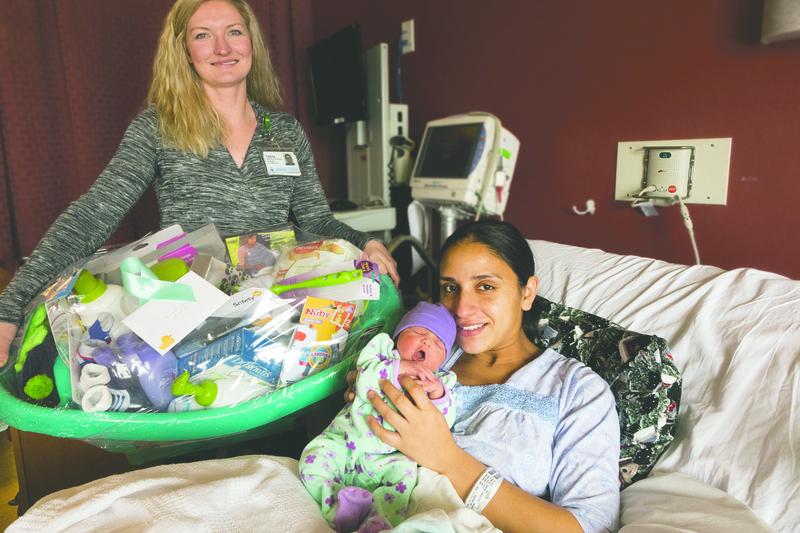 The gift basket was donated by Lake Chelan Community Hospital Guild B. Also pictured is Tasha Marchand, RN, BSN, Med/Surg/OB Manager at LCCHC.